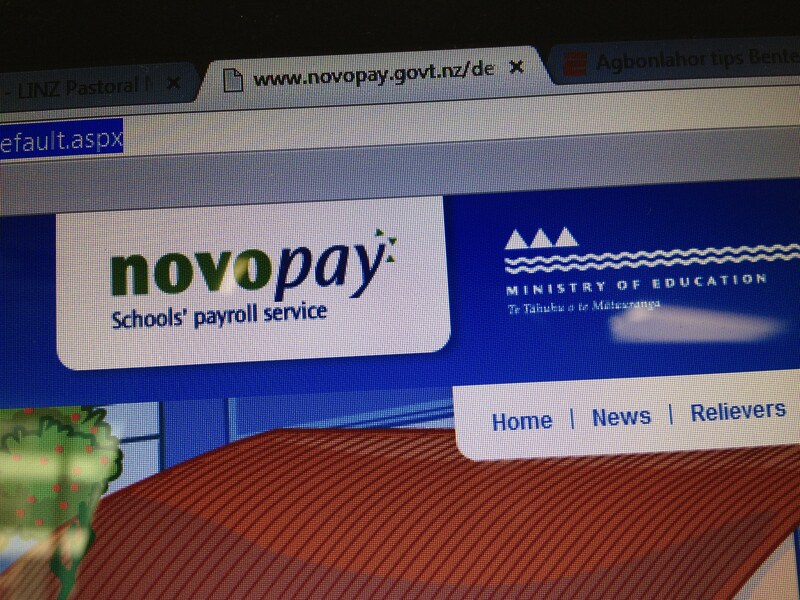 I have been reading some analysis of the Novopay saga – some in project management domain, others in the media. Those in New Zealand will have seen the project on the news every week for the wrong reasons. For those outside New Zealand, it is the payroll system to pay 110,000 teachers in New Zealand that has been re-developed from an older platform. The ministry of education website has considerable information, released under the Official Information Act. While it is tempting to point and have fun at the misfortune (or mismanagement) of others, it is probably far more useful to look at it through a critical eye to learn the lessons. 1. Should change of product have led to change in supplier? From the documents I have read, there has been at least two rounds procurement. The first round had selected the Alesco software product from Talent2. At some point, this procurement was cancelled and a new request of proposal was sought for custom development. If you look at history of Talent2 as a payroll outsourcing provider, they have done it through acquisition, rather than developing their own. Since starting with Alesco, they have acquired several other products over the last decade. If software development was necessary, I would have expected it to go to an established software house. 2. Does RFP provide best procurement outcome? From my experience it is almost impossible to capture all requirements at the outset for a complex system that has developed over many years and has lots of variations depending on size, geographical location and even available candidates. People in the head office usually do not have a full picture of how things are done in the front-line. Companies will base their price based on the information available and the risk they are taking on. Any changes will be guarded zealously to ensure an on-time and more importantly on cost delivery. Even though PwC undertook a review of the procurement, and this is the standard procurement model for all things government, does this serve such system development projects well? 3. Can a different procurement model work better? Changes are inevitable in such a large scale system development. There are many assumptions made when responding to an RFP and respondents will contest any adjustments to those. It costs more to do things well. If you know you are competing with other organisations the reality is some of these costs are minimised. Any modifications are therefore contested vigorously. No-one can guarantee what level of time may be required to answer questions, collaborate with subject matter experts etc. One can assume, but it is nearly impossible to validate ahead of the project. Therefore tendency exists to do as little as possible if it looks anything like above assumption level. RFPs therefore set an adversarial relationship, rather than a partnership. A contracting model where government retains the risk of scope, but partners with a supplier could lead to a far better outcome. As the risk is reduced, government should be able to extract a lower rate and remove the risk premium from the supplier. 4. Who decided to go cold turkey? This may not have been a system that had an impact of life and death, but it is as close to that as it comes. Many teachers have been significantly overpaid or underpaid and the stress it has given to the payroll staff is near breaking point. It is people’s livelihood. Teachers do have to pay their way, have mortgages, children to educate etc. The approach should have been to go live at selected schools, iron out issues as they arose and bring other schools gradually on board. This way the support staff at Novopay may have had a snowball’s chance in hell of responding to the issues on a timely manner, rather than getting completely swamped on day one. I doubt if all the fault lie with Talent2 as has been portrayed in some quarters. Everyone involved – the ministry, decision makers in the project, the supplier Talent2 and their sub-contractors carry varying levels of responsibility. It has compromised the reputation of the supplier, cost the jobs of some senior staff at the Ministry of Education and forced ministers into public apologies. I will not be surprised if it heads to the courts for compensation. Regardless where the proportion of the blame lies, when everything hits the fan, there are no winners. It is easier to be wise in hindsight. This post is just my reflections on the matter. Not all of it is mine alone. I will acknowledge I do not have complete facts to judge everything. An audit is being undertaken by Deloitte. There are plenty of birds tweeting 🙂 For the sake of the affected teachers, I hope the focus is on rescuing the project. You may have seen that the Herald reports Datacom is preparing an alternative technical specification, which according to the minister’s office they will be paid for. Professional Services Practice Manager at Eagle Technology Group in Wellington, Prince2, MSP, MoP Practitioner, P3M expert, cricket fanatic, squash pretender, pursing an Executive MBA. PMBOK or PRINCE2 ... which one is better? Do Project Managers need technical background? Proof of Concept, Prototype, Pilot, Agile ... confused? What is the difference between Project and Programme management? What are the challenges in establishing a PMO? How long does software development really take? Is agile and PRINCE2 compatible?